The Brooklyn three bring their dreamy pop to Bowery Ballroom on Saturday. Mellowness guaranteed. 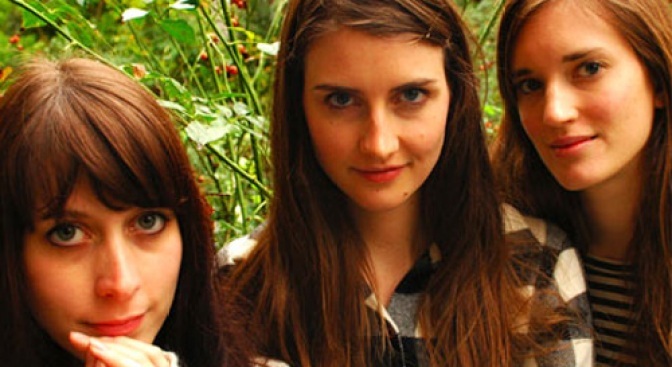 Brooklyn's Au Revoir Simone come to Bowery Ballroom on Saturday. Fresh off the release of their new album "Still Night, Still Light," Au Revoir Simone are playing a local show. And the timing’s good: For us, the music of the Brooklyn-based girl trio has long been one of the unofficial soundtracks of summer. The lo-fi, sweetly melancholic synthpop made by by Erika Forster, Annie Hart and Heather D'Angelo makes you want to stroll down the Coney boardwalk (yes, even sans Astroland) or sit on the fire escape until the fireflies come out. For one night only, the ladies of the keyboards (and drum machine) will bewitch and inspire at Bowery Ballroom. In these lean times, a ticket to this show may be the perfect substitute for a summer getaway. ARS is opened by mellow bands Findlay Brown and Lights.